The Walking Dead: A New Frontier comes to a conclusion very soon. The Walking Dead: A New Frontier developer Telltale Games has dropped a release date on the next episode. Episode 5: From the Gallows is the season finale, and will be available from May 30. The Walking Dead: A New Frontier is available on Android, iOS, PC, PS4 and Xbox One, and we can probably expect exact release time to vary a little between platforms, as usual. Again, as usual, the episode will unlock automatically if you own a season pass or the disc version of The Walking Dead: A New Frontier. 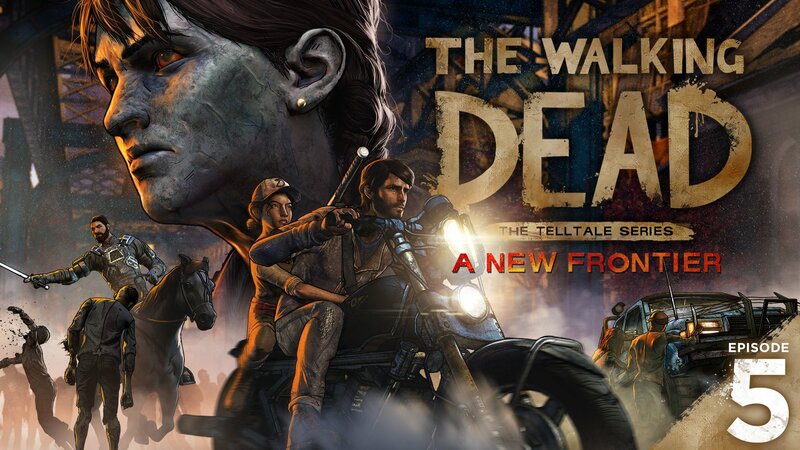 The developer also said we can expect a new trailer for The Walking Dead: A New Frontier next week, in case the image above has not already already wound your anticipation for the season finale right up. Goodness knows how many more we’ll see but with the third core season ending now seems a pretty good time to catch up on the continuing adventures of our post-apocalyptic heroes.